Back in 2017, Redfin named First Hill its hottest neighborhood to close out 2017. As we enter 2019 First Hill is becoming increasingly urban as a number of new high rises within the neighborhood are set to join the city’s skyline. Here’s a preview of what’s to come. 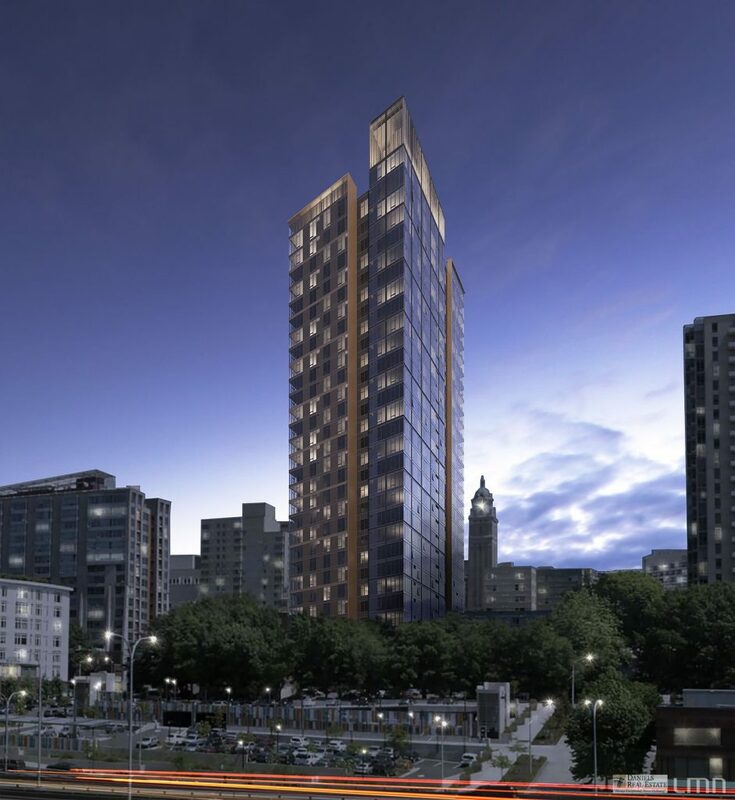 Located across the street from the Frye Art Museum, Westbank is planning for two 33-story apartment towers with a combined 488 units at 707 Terry Avenue. 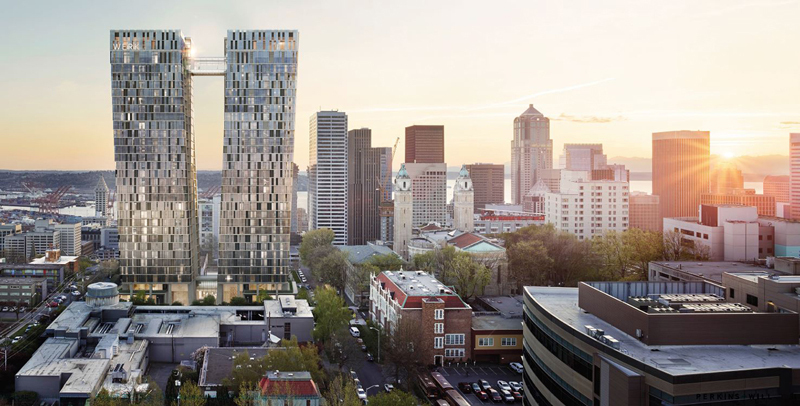 The two towers are connected via a pedestrian skybridge at the 31st floor, holding the two towers together “as they lean outward in ascension.” Among the project’s other highlights will be the west-facing 32nd floor pool and deck with views of downtown and Elliott Bay. Lennar Multifamily is currently under construction on two 32-story residential towers with a combined 565 residential units at 1101 8th Avenue. The project includes 8,400 square feet of retail, office and restaurant space. Eight levels of underground parking for 387 vehicles will be accessible via Hubbell Place. Daniels Real Estate is planning for a 30-story condominium tower with 287 residences and parking for 234 vehicles. Similar to other new residential high rises in the city, 800 Columbia includes a shared rooftop deck, fitness center, bike storage and dog run. 800 Columbia is scheduled for completion in 2020. 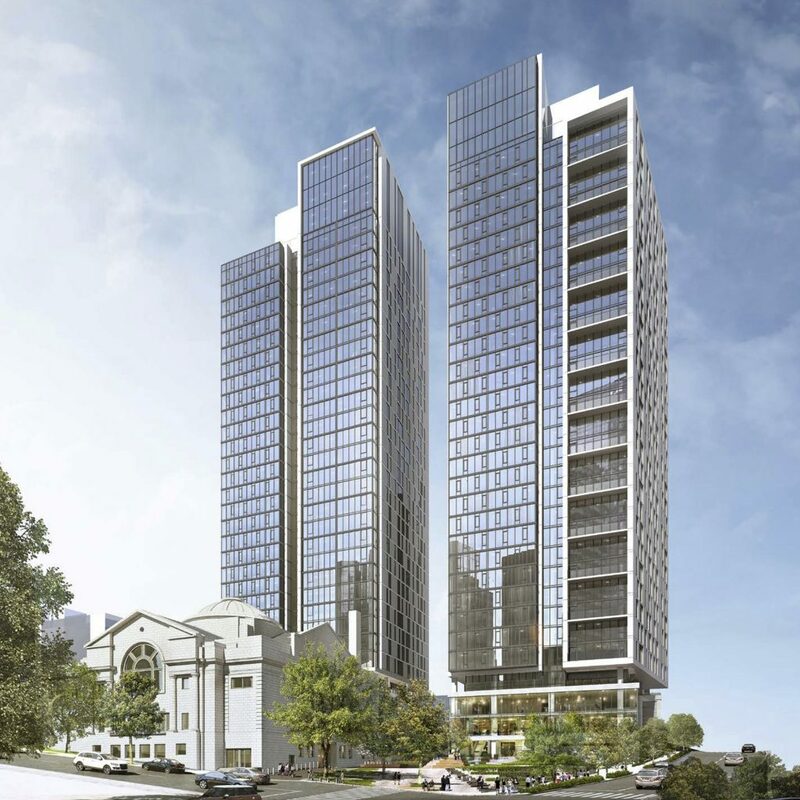 Australia-based Caydon Property Group plans for a 27-story, 226-unit residential tower with six levels of below-grade parking for 178 vehicles at 615 8th Avenue. The building’s first three floors will house new church facilities for the adjacent Trinity Parish, and include a parish hall, performance venue, art gallery, administration facilities and café. 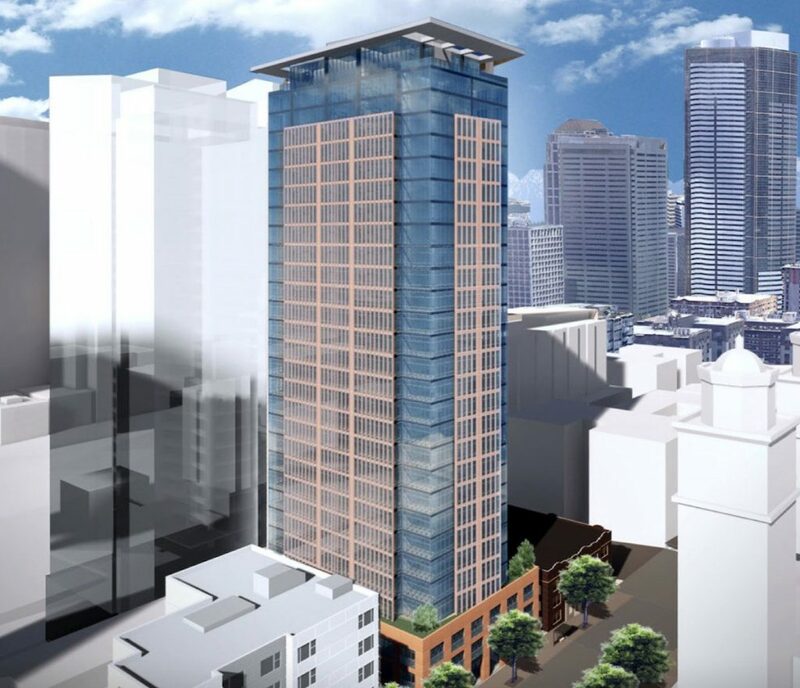 Plans call for a 28-story, 276-unit apartment building with parking for 102 vehicles. 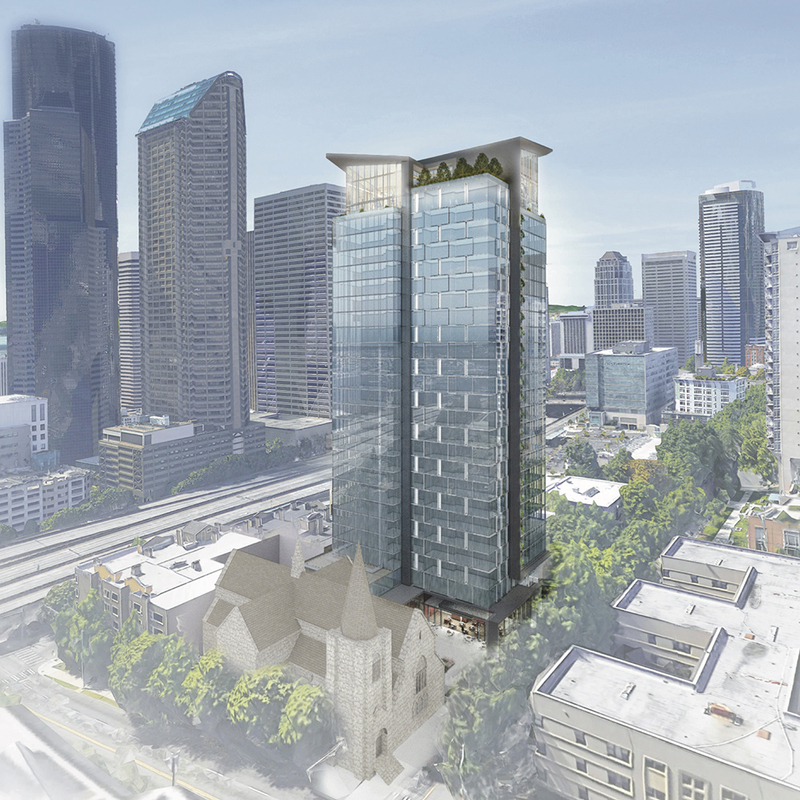 The tower’s “Angled Scheme” design features a sharp roofline and an all glass façade similar to that of other towers in construction in First Hill.